17 PBKA four-voltage train (Paris-Brussels-Cologne-Amsterdam) operate on the whole Thalys network. 6 belong to SNCF, 7 to SNCB, 2 to NS, 2 to DB. 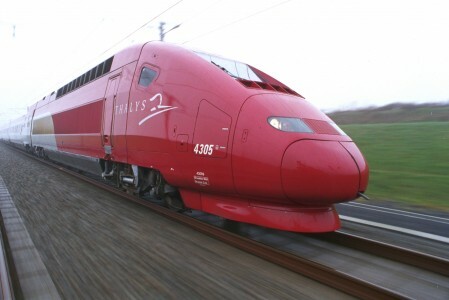 9 PBA tri-voltage train (Paris-Brussels-Amsterdam) owned by SNCF and operated between Paris and Amsterdam. All train can be coupled.